Finding the best shoes for nurses isn’t as easy as it sounds. Even though there are so many choices, you may still find it hard to find a pair that has the right style, comfort, and protection you need for your job. Moving a lot at work and having to be on duty for long hours, you know how important it is to have the right kind of shoes. They can prevent future health problems, like slipped discs, and minimize back and leg pain. Why Should You Invest On A Good Pair of Nursing Shoes? If you are just new in this profession, you might not be aware that nurses usually work in extreme conditions. When understaffed, nurses are forced to work in straight 12-hour shifts. They help in tedious tasks like lifting patients and providing assistance in bed baths. When there is a code, they also run in the hallway to get to the patient as fast as they could. Therefore, a good pair of nursing shoes will help in preventing painful heels, legs, and back during and after duty. Posture support is important in preventing low back pain and leg problems. It is also important for nurses to maintain good posture as it helps them safely go through their tasks. According to Dr. Barbara Bergin, an orthopedic surgeon in Austin, Texas, the most important consideration for healthy shoe wear is arch support. High or low arches have been a common problem for most people so shoes with stable arch support are preferred. Great arch support will also add more comfort when you’re walking or running around a busy unit. Nurses are prone to developing health problems like arthritis, muscle cramps, and low back pain because they are always working on their feet. These problems can be easily prevented by wearing proper shoes for hospital work. 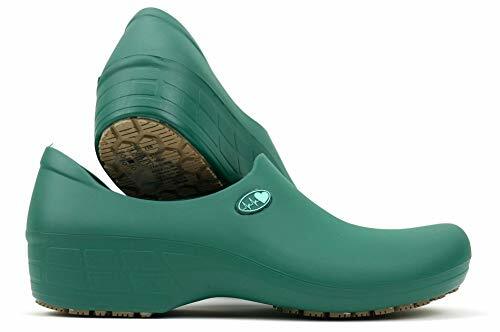 Just imagine wearing comfortable and lightweight shoes at work. It will be easier to move around, right? Wearing the best nursing shoes for your feet is critically important in completing as many tasks as possible, especially when you are working in busy and extended shifts. 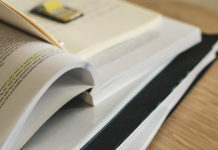 A study revealed that nurses, especially those who are working in nursing homes, are more likely to suffer a slip, trip, and fall injuries than workers in other industries. Spills in hospital floors are common and you should protect yourself from these with the help of water-resistant non-slip shoes. Ensuring your safety is always important and never forsake it for a cheaper pair of shoes. No doubt that being a nurse is one of the toughest jobs around. The burden of a busy shift will feel less as long as you have a comfortable pair of shoes to start with. What Are The Different Styles of Nursing Shoes? 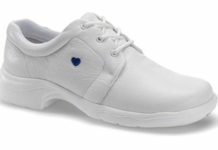 There are several styles of nursing shoes available in the market nowadays. Each of these styles is made for specific needs and working environment. 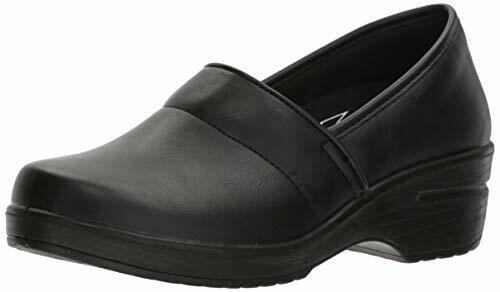 Nurses worrying about laces all the time should consider getting a slip-on type of nursing shoes. With this style, you don’t have to worry about tying up your laces repeatedly, the risk of cross-contamination, and performing hand washing numerous times. 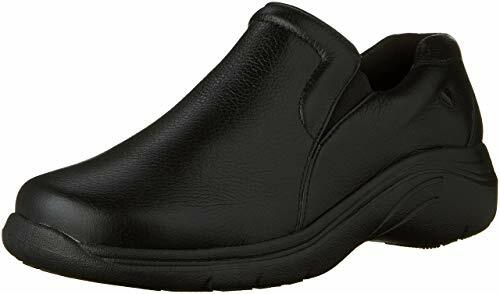 Slip-on nursing shoes have closed back-end and are similar to standard running shoes in terms of style. 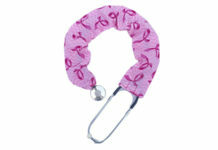 This is perfect for nurses who are always on the go and don’t want to be interrupted by loose laces. 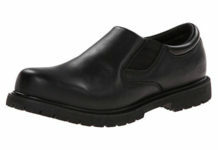 With closed front area and open back, clogs are considered as the most comfortable nursing shoe style around. 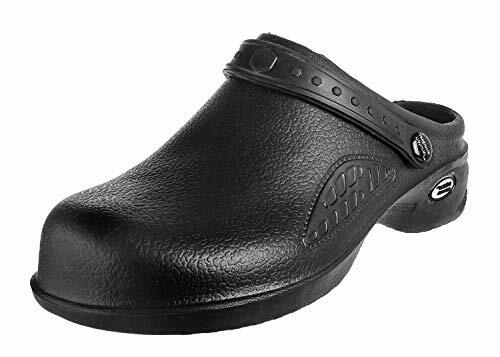 Ideal for nurses who prefer spacious footwear, clogs are also designed to relieve different pressure points on your feet. Clogs commonly have straps in the back to keep the shoes in place. They are made from leather or rubber materials and may have additional holes in the tops. Sneakers are great for the fast-paced environment like ERs and ICUs. This type of nursing shoes will cushion your feet and protect them from fluid spills. They are very comfortable to wear if you are always running around the unit. Although they may look similar, nursing shoes differ from regular shoes. They are made to meet the needs of nurses in their everyday duties in the hospital. The primary focus of these shoes is to ensure comfort without forsaking safety. 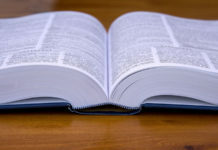 By meeting this standard, tedious tasks in the hospital will be easier to accomplish. Nursing shoes should be lightweight so they will not be a burden to wear during busy and extended shifts. Lightweight shoes will also aid in preventing health problems associated with stress and fatigue from work, like low back pain and muscle cramps. As a nurse, you don’t have the luxury to clean your nursing shoes every day. You are also vulnerable to accidental spills of blood and other body fluids. These are the reasons why a good nursing shoe should be easy to clean with just a wipe of a damp cloth. Because being a nurse involves a lot of footwork, it is important to get a tough and durable pair of shoes. A pair of shoes will only last for several months if it’s not tough enough to survive clinical duties. You will encounter a lot of spills on the hospital floor and if you are not careful, you might slip accidentally while walking or running. For this reason, going for a non-skid shoe is always recommended to ensure safety. Nursing shoes that are too tight or too big will result in foot arch pain and pressure sores. Make sure your shoes just fit perfectly to prevent these foot problems. Stable arch support is now a necessity when buying a pair of shoes. It will support your foot arch and posture when walking or running. Some people have foot arches that are either too low or too high and using removable orthotic inserts is recommended for this problem. So, how do you pick the right pair for you? Here are the ten golden rules in choosing the best nursing shoes in the market. This is the first important thing to check when buying a pair of nursing shoes. Some hospitals implement a strict one-color rule in nursing shoes and the usually required color is white. However, nurses in scrub suits are commonly not required to follow such rule but it is always best to ask first. Through this way, you will be more guided in choosing the right design. In finding the perfect fit, your feet’s size and width should always be considered. When fitting a shoe, wear the socks that you commonly use in your duties. There are socks that affect the fit of the shoes worn, especially if they are too thick. Some people are also born with a slight difference in the size of their two feet. If that’s your case, always go for the size of the larger foot. Your feet’s comfort should not be forsaken for style. The insole should be soft and fits your foot perfectly without squeezing inside. Extra padding in pressure points is also helpful. You can even find shoes with gel cushions for more comfortable walking. With spills and slippery flooring, your nursing shoes should not let you slip or fall. Out-soles made from high-quality and durable rubber will let your shoes have a good grip even when the floor is slippery. Most nursing shoes are made to be non-skid but it is still best to check when buying one. Your shoes should always be lightweight so walking or running quickly will not be a big problem for your legs. Walking around in heavy footwear will strain your legs and keep you from moving around quickly. Opting for lightweight shoes will give you more speed in doing your everyday tasks in the ward. If you will check your feet, you will notice that there is a natural arch or curve in the inner part of your soles. There are few people born without the arch in their soles and this condition is known as flat feet. A great nursing shoe should provide arch support to relieve pressure points in the feet. For those suffering from flat feet, a customized shoe which includes orthotic inserts is recommended. To withstand the extreme conditions nurses experience every day in the hospital, their shoes should be heavy-duty. High-quality nursing shoes are usually made from premium materials like leather and rubber. The outsoles should be thick enough and well-stitched to the body of the shoes. Shoes made from suede, canvas, and synthetic leather are not recommended as they are hard to clean and wear out easily. As mentioned at the beginning of this guide, there are three styles of nursing shoes available around. In choosing an appropriate style, you should first determine the style you are most comfortable with. Then, consider several factors like attire policy and the area you are working with. 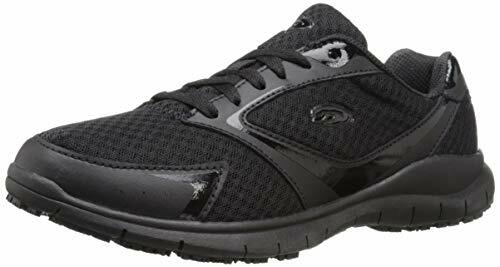 For fast-paced working environments where you will walk and run a lot like ER and ICU, sneakers will be best. For closed environments, like OR and NICU, where maintaining a sterile field is important, slip-on shoes are great. And for ward areas, clogs are recommended. Nurses are always busy and they are exposed to many external hazards like blood and body fluid spills. For this reason, going for an easy to clean design is important. Choose shoes that can be easily cleaned with just a wipe of the damp cloth. 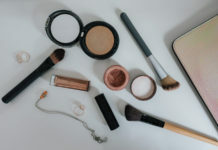 Some shoes also come with their own line of cleaning agents so the appearance and durability of the shoes will not be affected by repeated cleaning over time. There are shoe brands made especially for nurses. NurseMates and ScrubZone are popular ones nowadays and they produce a wide line-up of different nursing shoes in the market. Going for shoes specially made for nurses is recommended since they are made for hospital usage. Shoes made from synthetic or vegan leather are also available but not recommended as they can make your feet feel hot and sweaty. Suede shoes are also less popular because it is difficult to clean. Cloth-based nursing shoes like those made from canvas are not recommended as they can be stained easily and very time-consuming to clean. Overall, most nurses prefer nursing shoes made from rubber as they are very easy to clean, durable and lightweight. Backless shoes may be appealing for some, but these type of nursing shoes are unstable and therefore not recommended for nurses. Backless shoes only stay on your feet as long as the arch or your toes are strong enough to hold them while your foot is swinging. Clogs are a much better alternative. Beware of buying “breathable” shoes. They are less likely to protect your socks and feet from accidental fluid spills. Asking for the advice of your colleagues is also a good way of finding the best nursing shoes for you. New nurses entering the practice are usually not aware of how important it is to invest in proper shoes for hospital work. Seek recommendations from your seniors in the hospital as their experience in finding and wearing nursing shoes is valuable to consider in getting one. If you work 12-hour shifts and have a serious issue on your feet, consider seeing a podiatrist. These foot doctors are trained to accurately assess your foot problems and recommend solutions or footwear that is best for you. Podiatrists commonly evaluate patients by having them undergo walking and balance tests and identify different pressure points on their feet.